Time has come and gone between the release of Mass Effect 3 and its Extended Cut DLC - launched to soothe the savage outcry the original ending stoked in fans back in March. 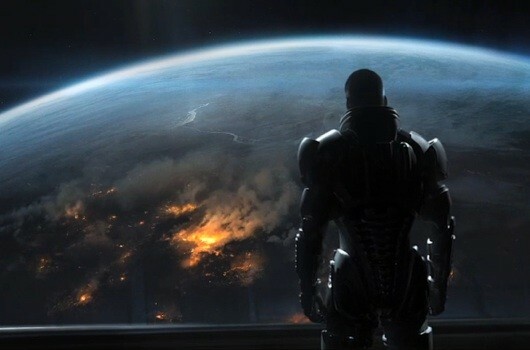 As disappointing as Mass Effect 3's original ending was, to call it the worst ending in video game history - a claim many fans have made - is to be excessively hyperbolic. A History of Whimpers: Infamous endings throughout video game history originally appeared on Joystiq on Fri, 31 Aug 2012 17:00:00 EST. Please see our terms for use of feeds. You're reading Reaction Time, a weekly column that claims to examine recent events, games and trends in the industry, but is really just looking for an excuse to use the word "zeitgeist." It debuts on Fridays in Engadget's digital magazine, Distro. Remember when the summer lull signaled a blissful break from the year's onslaught of new games? July was the perfect pitstop, where you'd catch up on that bloated backlog and shake off that vague, gnawing stress that comes from wanting to play everything and knowing you never will. There used to be a gap, right over here. If things felt lethargic to you in August, you must not have been too keen on the downloadable games finding their way to the PlayStation Store - or the ones getting horribly lost and asking for directions to some nested nightmare in the current Xbox 360 dashboard. Sony's efforts this year have been especially strong, with several standout games forming a loose alliance around music. 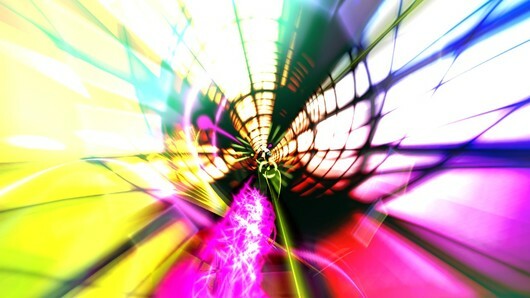 The PlayStation Network hosted the debut of Dyad, a tumultuous, trippy shooter that puts your brain in a slingshot and fires it straight down a LED-lined tunnel. It's a product of Toronto's indie game scene and designer Shawn McGrath, who says it was relatively easy to gain Sony's stamp of approval. 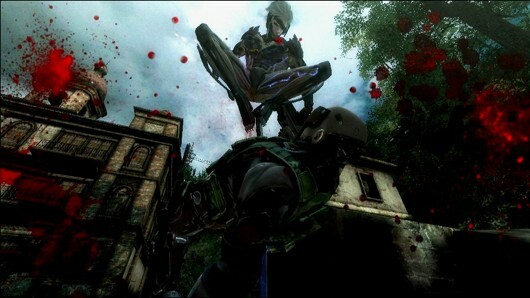 The Sound Summer of PSN originally appeared on Joystiq on Fri, 31 Aug 2012 15:00:00 EST. Please see our terms for use of feeds. There has been plenty of chatter online about popular video games being turned into movies, with Halo, Uncharted and Mass Effect being the most prominent examples. It's news that generally receives a lukewarm reaction from the relevant fan bases. It's easy to see why they're apprehensive. It's fair to say that the film and video game industries haven't coexisted quite as well as they could have, with horrible adaptations crossing the divide from both sides. The Super Mario Bros. film released in 1993 was such a box office disaster that the film's very existence is only talked off in hushed whispers. That's not the only video game failure in the film world, though, as Mortal Kombat, House of the Dead, Dead or Alive and Prince of Persia have all made unsuccessful attempts to harness the power of film. It's gone both ways, in fairness: Avatar, The Karate Kid, Saw, The Matrix and E.T., just to name a few, have all similarly been critically savaged. Although the picture looks bleak, there are examples where the two genres have produced successful cross-overs - GoldenEye, the new Ghostbusters game, and even the Hitman film was decent. So it can be done. With the research, funding and collective will, a film can become a good video game and vice versa. But only as long as it receives proper attention. So what films can be adapted or even re-released as a video game? Batman and Spiderman recently got back into the video game groove, perhaps the Man of Steel should reconsider another adventure into our disc trays. Science fiction has been much loved on all formats, and this particular sci-fi film would make for a good adaptation primarily for the eerie universe. Dark, gritty, with a world not too dissimilar to Gotham City, it could certainly be done. Yes, it was mentioned earlier as a bad example of a film-based video game, but one of the primary reasons for its ultimate failure was the game engine limiting the undoubted potential it had. On a next-gen console that should not be a problem. If you have any suggestions of your own, let me know. And who knows, if I don't get too badly flamed, I might even do another article of games that should be films. We'll see, the rest is up to you. It's PAX once again, so it's time for more news on Battleblock Theater, the Behemoth game that, for the time being, only exists at the expo. The latest on the party combat game is the level editor, which allows users to design, upload, and download new levels using the same "super easy" tools The Behemoth uses to make the story and arena levels. Battleblock is on display at the show, so we look forward to hearing about the one guy who holds up the line to finish his intricate dungeon design. 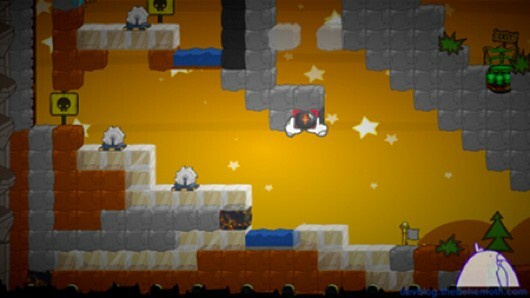 Battleblock Theater level editor lets you set up the blocks for battle originally appeared on Joystiq on Fri, 31 Aug 2012 14:00:00 EST. Please see our terms for use of feeds. If you're at PAX, you can easily get a new t-shirt to cover your shiny cyborg torso and all of your pneumatic sinews. All you have to do is pre-order a copy of Metal Gear Rising: Revengeance at the Konami booth, and you'll be rewarded with a t-shirt exclusive to the event. The pre-order will be fulfilled by Amazon, so you won't have to ... go find the booth again in February or something. We have yet to see a picture of the exclusive item. You'll just have to be surprised (!) at the booth. Pre-order Metal Gear Rising at PAX, get a T-shirt originally appeared on Joystiq on Fri, 31 Aug 2012 13:30:00 EST. Please see our terms for use of feeds. Oskar Burman, Rovio general manager, has announced via Twitter that Battlefield 3 producer Patrick Liu has left his job at DICE. Liu has joined the team at Rovio Stockholm as its creative director. Liu had worked at DICE for over five years as its senior producer. He had also previously been the associate producer at Starbreeze Studios. Liu Tweeted that he is looking forward to working at Rovio and the challenges that will come with it. "Rovio feels awesome, can-do mentality, big ideas, agile, empowering, disruptive. Looking forward to new and exciting challenges." Namco's planned social network tie-in for Tekken Tag Tournament 2 won't cost you a dime to enjoy beyond the initial purchase the game. 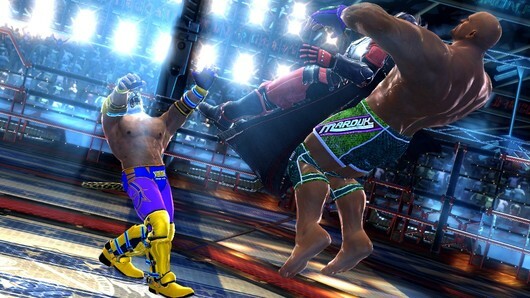 World Tekken Federation integration - an online destination where players can link their PSN account or Xbox Live gamertag and see select stats in real-time - will be online and ready to go when Tekken Tag Tournament 2 launches on September 11. World Tekken Federation gives Tekken Tag Tournament 2 players the opportunity to "track personal statistics against the world, create and manage teams with friends, compete in online events and discuss intricate strategies" with other Tekken Tag Tournament 2 players, the press release past the break says. Right now, that's all Namco's telling us about this planned stat-tracking and social service. 'World Tekken Federation' membership free with every copy of Tekken Tag Tournament 2 originally appeared on Joystiq on Fri, 31 Aug 2012 13:02:00 EST. Please see our terms for use of feeds. 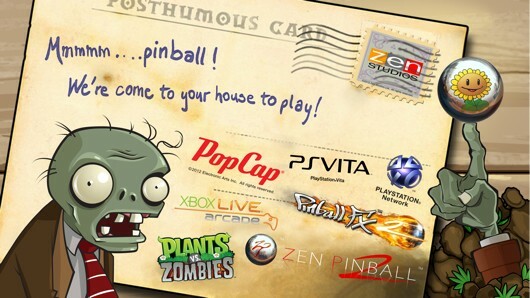 Zen Studios' first mystery pinball table based on a PopCap franchise will be Plants vs. Zombies. The table, playable at PAX this weekend, features your favorite flora and undead continuing their epic battle with the assistance of giant silver balls. The Plants vs. Zombies pinball table will be available on September 4 and 5 in North America and Europe, respectively, as a cross buy add-on for Zen Pinball 2 on PS3 and Vita. The table flips on in XBLA's Pinball FX2 on September 5. The table is $2.99 through the PlayStation Network, 240 Microsoft Points ($3) on Xbox 360. Asked for a review of the table, Crazy Dave expounded, "Wabby-wibby woooo. Whaaaa! Wanna watta win." Zen Studios' Plants vs. Zombies pinball table lets in sunshine next week originally appeared on Joystiq on Fri, 31 Aug 2012 13:00:00 EST. Please see our terms for use of feeds.